This week: After some introductions, Rob talks about the Dollar Tree Robots toyline! He then talks the Power Rangers 25th-anniversary episode, the upcoming conclusion of Voltron Legendary Defender, and thoughts on new Transformers stuff! 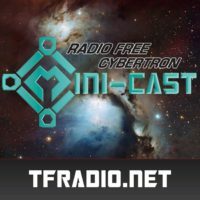 On this episode of the RFC Mini-cast, John is joined again by Transformers fan and author Bill Ray to discuss the first episodes of Cyberverse! Check out Bill’s novels on Amazon! We’re joined by Diecast who was at Hasbro’s Fan Press Event today to share firsthand accounts of the event, and impressions of the toys on display. 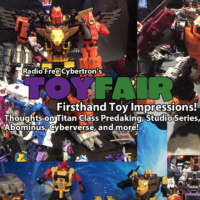 Diecast got to see Titan Class Predaking, Studio Series toys, Abominus, Cyberverse, and more! On this episode of Rob Clay Toy Detective, Rob talks about the mysterious evergreen G1-inspired Transformers line, and the future of Generations. 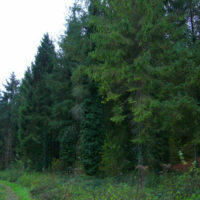 Being Awesome with Rob Springer 123 – What about 456? 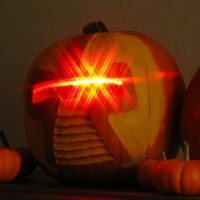 This week in awesome: Rob talks about carving the pumpkin and Q&A wants to know about the great HasCon and what wish it would have brought you. All this and I got a rock. On today’s RFC Daily Transformers News Update Brian and Diecast are in Providence and we’re ready for Hascon! Toys R Us is undergoing debt evaluation, and a new photo leaked, this time of Optimus Prime! RFC Daily Transformers News Update – 012 More Potential Pre-Hascon leaks? 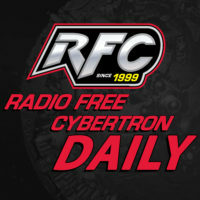 On Today’s RFC Daily Transformers News Update: More potential Cyberverse leaks hit the internet, as well as what could be a mockup of Power of the Primes Predaking. On Today’s RFC Daily Transformers News Update: A set of interesting packaging leaks show up on the Tfcn Facebook page.